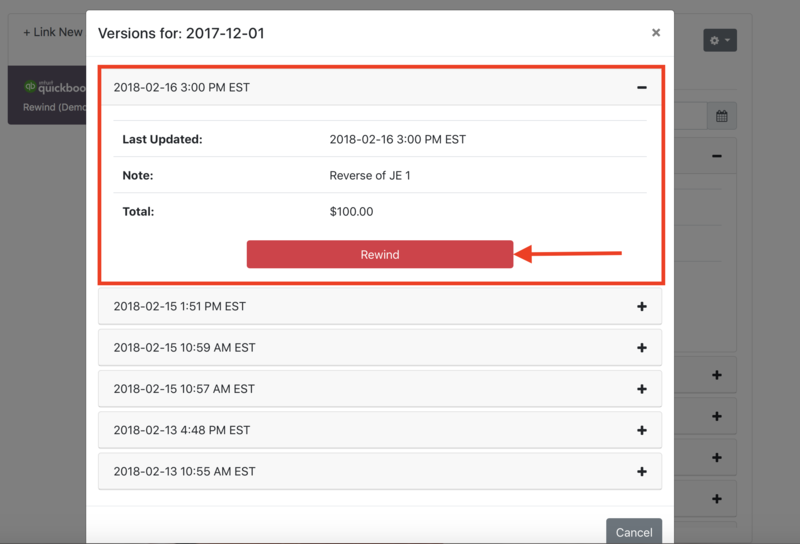 We're working on including an Account Rewind feature, which will allow you to restore your entire account at once to a previous date and time. 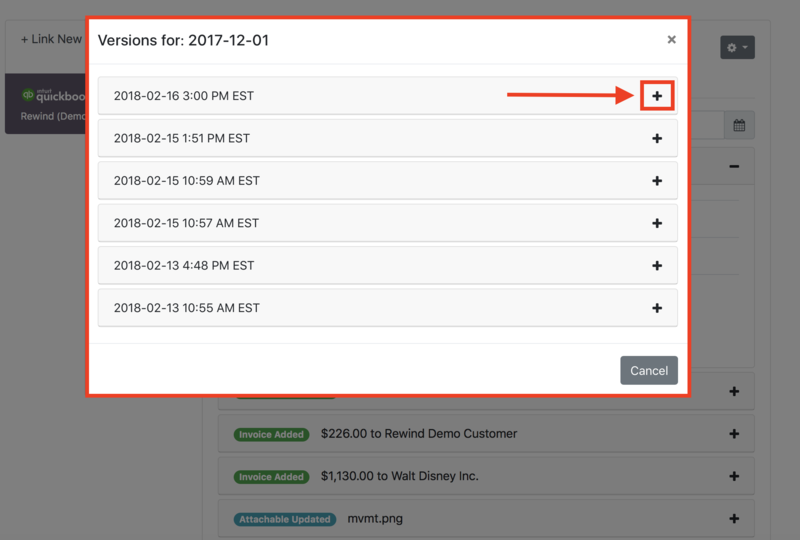 We're also working on giving you the ability to rewind items in bulk (e.g. ALL Invoices, ALL Customers, etc.). 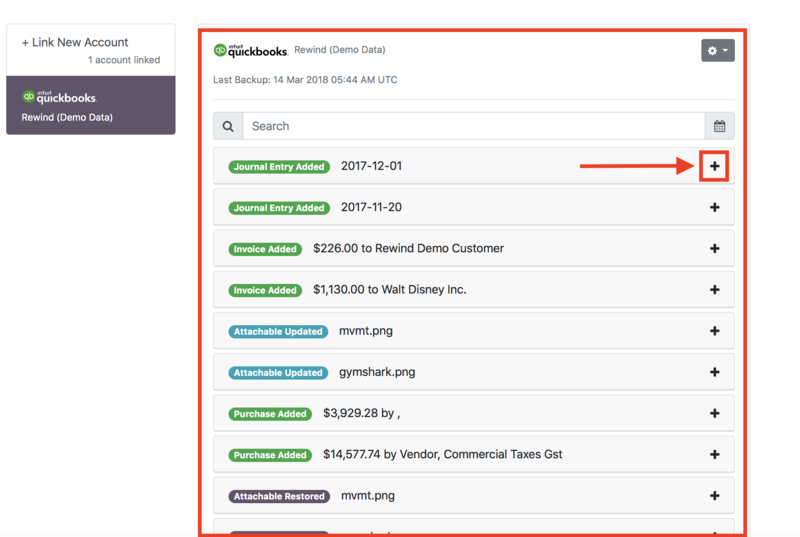 From the Rewind Vault located in your Rewind account homepage, you can use the search bar to narrow the results of the item(s) you wish to view/rewind, or simply scroll through the list as it's presented to you. 1. Next to each listed item in your Vault, there's a + sign. Click on this for the item you wish to view and/or rewind. 2. 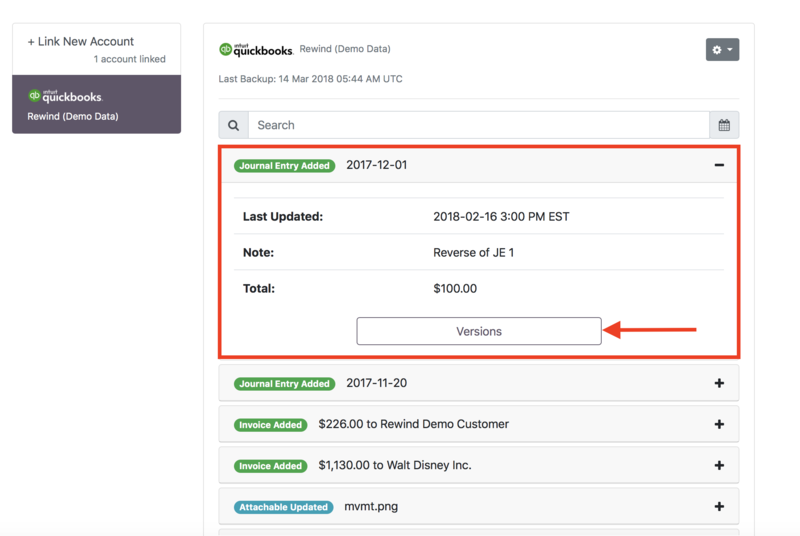 You will be able to see when that item was last backed up, and can view and/or each individual backup for that item by clicking on 'Versions'. 3. You'll then be presented with a list of all the dates and times that item had changes made to it in your account and was thus saved to your Vault. To view each version's specific details and/or rewind it, click the + sign next to that particular version. 4. To rewind that version, you can then click "Rewind".